Launch Your Blog Like a Startup, Not a Writer. Join me and 1,050+ brand new bloggers and shift from writer to business owner, scale your blog like a startup, and make $10,000 in 90 days - all while working full-time. By choosing your niche based on audience budget potential and B2B market demand, not your passions or hobbies. With the secret to getting free content and automating your guest post process – all without writing a single word. By focusing on the right revenue streams based on your blog’s age and traffic, you make 6-figures in 90 days, not years. Get 2 Years of Backlinks in Under 90 Days. And Instant SEO Results for Your Blog. I've been in digital marketing for over 20 years and a content marketing influencer for over 8 years - I must say the growth trajectory that Adam can provide new bloggers is unparalleled. 2019 requires a new strategy, and Adam's growth tactics are required reading. Adam is an absolute machine when it comes to not only creating standout quality content, but he's even better when it comes to building strong relationships and promoting that content. 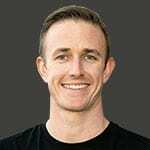 In a matter of less than four months, I've watched him go from just getting his blog off the ground, to landing mind-blowing features on some of the biggest startup blogs in the world. Download my FREE 7-day blog launch checklist and 10,000 word email course. Blog Like a Startup, Not a Writer. If you want to make real, life-changing money from your blog, you have to start thinking like a CEO and developing systems to scale your blog like a startup, not a hobby. I’ve worked for high growth startups, and some of the best CMOs, VPs, and Growth Marketers out there. And what did I learn? Most blogging advice is outdated. You’re sold the dream of passive income, all while 95% of bloggers are still failing, and the same “experts” from 2010 are raking in the dough. These “expert” bloggers tell you to write about your passions, stay consistent, form good writing habits, and create amazing content. Then, a few years from now you’ll finally have enough traffic to monetize your blog with affiliate links, ads, online courses, or other digital products. To grow your blog in 2019, you need to ditch the cookie-cutter advice. In fact, if you truly want scale your blog like a startup, you need to remove writing almost entirely from the process. Remember, you’re a business owner, not just a writer. The entire reason I created this blog was to abandon this old advice, update your blogging tactics for 2019, and help you make over 5-figures/month within 90 days of launching your blog – because that’s what I just did this year. 1. Learning how to correctly choose your niche based on market analysis, product demand, and how to sell to businesses (not individuals) and 100x your revenue potential. 2. Thinking like a CEO to focus less on writing and more more on relationships, the secret to getting free content, and outsourcing certain components of your blog so you have more time to grow your business. 3. Leveraging the right forms of monetization based on your blog’s age and traffic, and how perfecting your high-end sales funnel will help you make more money with less traffic. I’ve launched hundreds of websites and will help you discover your unique niche and value proposition, expertly plan your content strategy, and choose the best website hosts and platforms to get started. We’ll start out of the gate with an SEO-optimized, fast, responsive blog built to drive revenue quickly. This won’t be a hobby blog where you’re writing about your passions, but a blog that has 7-figure potential. I work hands-on with high-growth startups, influencers, content marketers, and bloggers to generate content at scale and grow their audiences. I’ll help you build your Domain Authority (DA) quickly, write and pitch guest posts, get free content, participate in link building with influencers, and build credibility in your niche at scale. By working for large SaaS startups, I learned the techniques that tech companies use to scale. I started making 5-figures/month from this blog within 90 days and will help you do the same. This isn’t just ads, affiliate programs, online courses, guides, or items you’re passively selling to your visitors. This is real-world sales and closing $3,000+ deals. Finally, I just want to stop and say I’m glad you’re here. I deeply value every single person I’ve met through this blog. And above all, it’s my personal mission to help you succeed. As long as you’re willing to put in the effort, I’ll do whatever it takes to help get you there.